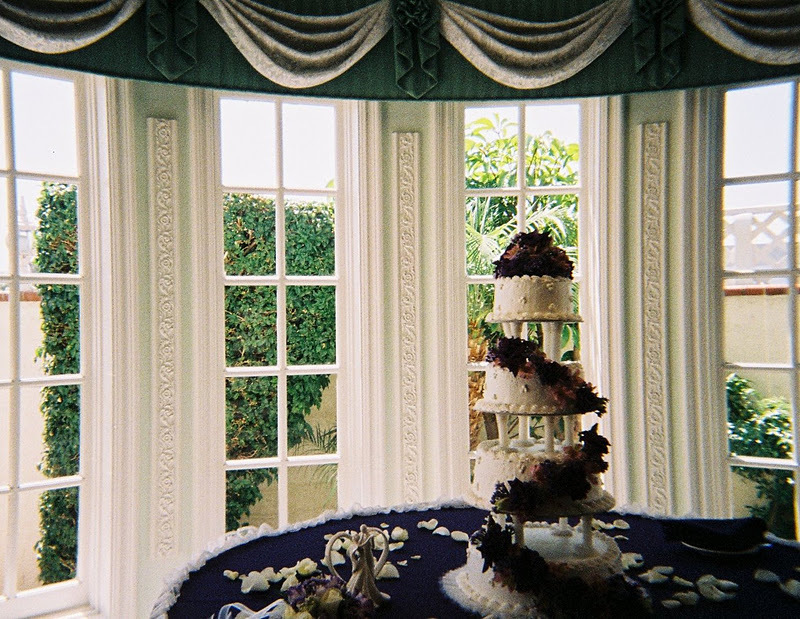 A wedding cake in the U.S. is traditionally served to guests at a wedding reception. In parts of England it may be served at a wedding breakfast. 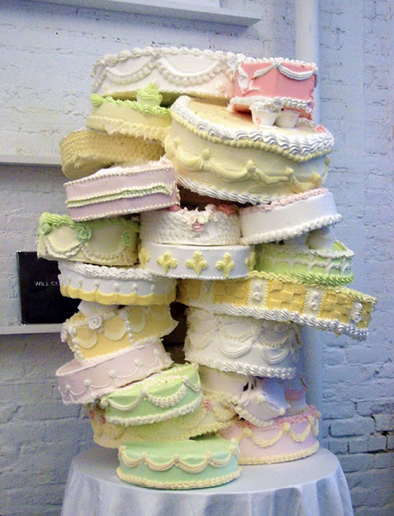 In Western culture, it is usually a large cake, multi-layered or tiered, and heavily decorated icing, usually over a layer of marzipan or fondant. The modern wedding cake was first inspired by this church steeple in London and it’s far from being a the modern wedding cake paste frosting used on many wedding cakes was invented in 1888. In 1902 the pillars used to support the tiers of the layer cake were developed. Wedding cake toppers are small models that sit on top of the cake that normally represent a bride and groom in formal wedding attire. This custom was dominant in U.S. wedding in the 1950s where it represented the concept of togetherness. Wedding toppers today are often figures that show shared hobbies or other passions if used at all. 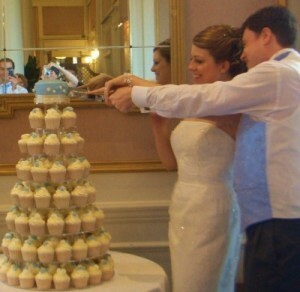 Another trend is “Wedding Cupcakes.” They imitate the tiers of a wedding cake, the cupcakes are on a stand and decorated in the wedding colors. In Britain and Ireland a cup might be called a fairy cake because of its fairy-like wings. Gourmet cupcakes are larger and filled cupcakes, based around a variety of flavor themes, such as Tiramisu or Cappuccino. Every bride and groom deserves a wedding cake or a wedding cupcake, from white tiers dripping down with sugared blooms to chocolate layers topped with fruit. Now days brides can watch Bakers like the “Cake Boss” which is a reality series on TLC to get ideas. This is the first generation of brides to be able to do this. As one commentator puts it, “we’re in the golden age of cake television.” From “Ace of Cakes” and ” Ultimate Cake Off,” to “Last Cake Standing” and “Wedding Cake Wars,” cake programs are everywhere. In the last three years you couldn’t turn the channel without landing on one of these sugar-soaked shows. ” Cake Boss” is arguable the most successful and highest rated of the bunch. Now seen in 180 countries, it has achieved near cult status, attracting visitors from Hoboken ,N.J.‘ from as far away as Japan. What’s a Bride to do these days so many cakes and so little time?